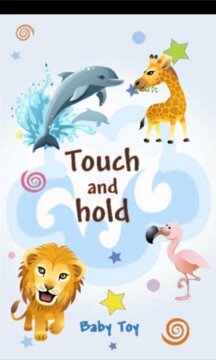 Stimulate and develop your baby's brain with a variety of well-known children's songs and colorful images! DESIGNED BY PARENTS FOR PARENTS! Built as a simple game, as long as your toddler keeps the screen pressed, entertaining music with colorful images will play. The development of this application was based on research and field tests for delivering the best results! - 20 well known music tracks. - 30+ specially selected images. - Over 10 minutes of unique engagement for your toddler so he is never bored. - Stimulates your toddler's brain. - Allows your toddler to experience control. - Improves your toddler's self awareness. - Gives your toddler a sense of rhythm. 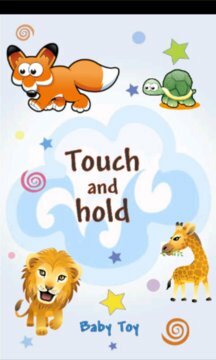 A must-have pocket application for the time when you desperately need to calm your baby down or keep him busy. Babysitter instantly relaxes your baby by letting him experience a sense of control unlike any other toy.